Need help with some of that tricky science content? BrainPOP uses animations to help you better understand the different science concepts. - Ask the teacher for log-in information! "Start with only four basic elements in your library, then mix them and create a lot more. Combine them simply by dragging and dropping on each other". "The Genetic Science Learning Center at The University of Utah is a nationally and internationally recognized education program that translates science and health for non-experts. In addition to genetics, we address all areas of life science and health as well as other scientific fields". This website has helpful songs, videos, activities, tests and different reviews to help with math and science content. "Use out library of stunning (and free!) content, spanning games, images, animations, and lesson plans, vetted by our scientists to bring you the best in digital learning. Sopngelab offers powerful toolsets for organizing, delivering, and sharing sudtomizable lessons with your students and fellow teachers. Use Spngelab's award winning games and simulations (they're fun!) to engage your students and promote their critical thinking and problem-solving skills." 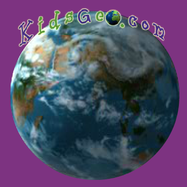 "An in-depth online geography textbook written for kids. Learn about the world around you. Geography is the study of the Earth as it exists today, focusing on the surface, the atmosphere, the oceans, as well as the distribution of plants, animals, and people." This website is part of the GVSU Regional Math and Science Center where a student and a professor created 4 different computer science games. 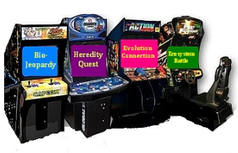 Play bio-jeopardy, heredity quest, evolution connection and ecosystem battle to practice your skills and prepare for tests. Time for Kids is similar to the scholastic magazine for children, but it has articles that cant be found in the Time for Kids Magazine. The articles on the website are printable in school and the teacher does not even need to have a subscription to read the online magazine.